When you consider that a quality CFast Card can cost over $300, it can be a pricey proposition to keep several cards on hand for a day’s shooting. 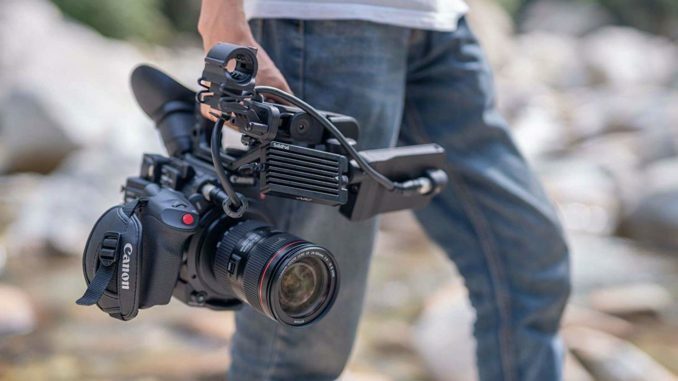 But thanks to a new adapter called the SolidPod, Canon C200 and Blackmagic URSA Mini shooters will be able to record straight to a mSATA SSD, and not only do it for far less, but do it in RAW. I came across the NKI SolidPod thanks to filmmaker Armando Ferreira, who did a video unboxing of it on his YouTube Channel. Ferreira had heard of home built CFast-SSD adapters before, but it was required to break your camera’s door in order to fit it in, and that would void the camera’s warranty. The NKI Solidpod has don’t all the work to engineer an adapter that avoids all that messiness. 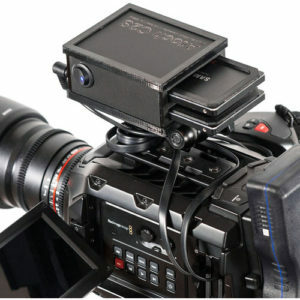 Working with the Canon C200, and the Blackmagic URSA Mini Pro cinema cameras, the SolidPod CFast connecter slides into the CFast slot with a solid click, and close the door. Yes, the door does close, even though the thick, heavy gauge wiring is jutting out of it. But at first look, Ferreira says it seems to work just fine with 134 minutes of recording time. Then, the mSATA SSD drive slot can be attached to your camera cage via a ball head or other mounts (the SolidPod comes with a bullhead, but Ferreira said it is pretty flimsy, so you’ll probably want to use your own). 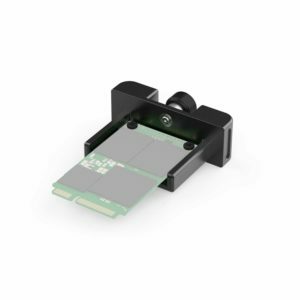 To insert your mSATA SSD card, the SolidPod has a mounting tray, that enables you to do quick swaps, magazine style. 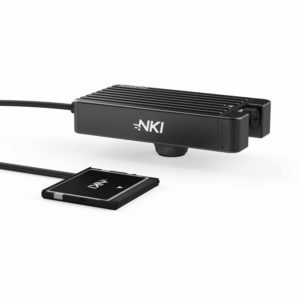 The best part is, that the NKI SolidPod uses phantom power, so you don’t have to worry about having an additional connection to power up the unit. 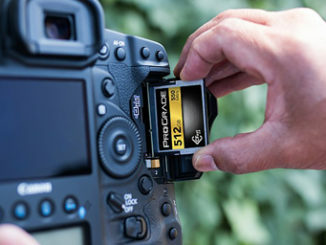 Sure, it’s going to drain your camera battery a tad faster, but I think most would rather keep a few extra camera batteries on hand, if it means they can record with an SSD, rather than pricey CFast cards. Unfortunately, though, the SolidPod isn’t cheap, at $400. But when you consider that the SolidPod will give you up to 1TB of storage for under $250, while a stock 128GB SanDisk or ProGrade will set you back almost the same amount, the savings in the long run are obvious. Currently, the SolidPod is on backorder through Amazon, with no listed date for availability. You can, however, buy directly from the NKI Store, which also lists backorder, but shipping is promised in 14 days. Meanwhile, B&H also has the Atoch C2S CFast to SSD adapter, but it looks to only work with the Blackmagic URSA, URSA Mini and URSA Mini Pro cameras. 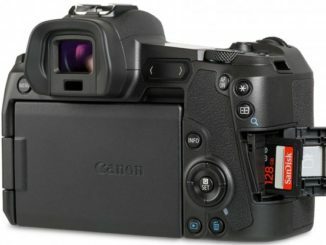 It’s about $600, but for that extra price, you get a second CFast connector to record 4K and 4.6K from both slots on your camera. The choice is yours. This sounds soooo exciting! Any updates? 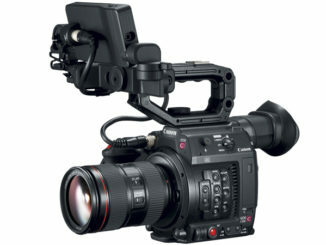 Getting for my C300 Mark II?